Sterling Resort Darjeeling is located on the Old Monastery Road. 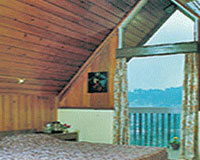 Sterling Resort Darjeeling is acclaimed as a wonderful Dream Resort in the "Queen of the Hills". The resort provides the best of luxury for leisure and business travelers. Sterling Resort Darjeeling has played host to many important conferences and business meetings as it provides the latest technological facilities. Equipped with every modern amenities and services the Sterling Resort Darjeeling provides the finest luxury, comfort and hospitality in a homely ambience. Sterling Resort Darjeeling has 28 guest rooms equipped with hot plate, vessels, pressure cooker, cutlery and crockery. General Lloyd: A multi-cuisine restaurant offering the finest and best of Indian, Chinese and Continental dishes.